Barrier: I have a health problem (diabetes, heart disease, asthma, arthritis) that I do not want to make worse. Talk with your health care professional. Most health problems are helped by physical activity. Find out what physical activities you can safely do and follow advice about length and intensity of workouts. Start slowly. Take it easy at first and see how you feel before trying more challenging workouts. Stop if you feel out of breath, dizzy, faint, or nauseated, or if you have pain. Barrier: I have an injury and do not know what physical activities, if any, I can do. 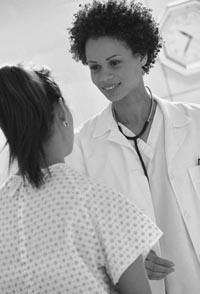 Talk with your health care professional. Ask your physician or physical therapist about what physical activities you can safely perform. Follow advice about length and intensity of workouts. Start slowly. Take it easy at first and see how you feel before trying more challenging workouts. Stop if you feel pain. Work with a personal trainer. 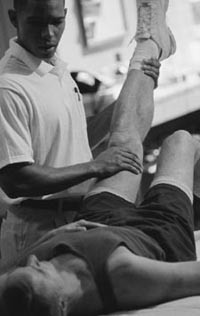 A knowledgeable personal trainer should be able to help you design a fitness plan around your injury.